Police officer gear is sold on a competitive market. Companies design it for the police. The gear is consumed mostly by citizens and criminals. Thousands of companies make billions of dollars every year on this market. The market reaches around the world and is in almost every country. The gear is the reason that a lot of people are either rich or middle class. 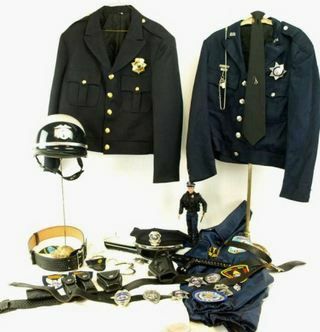 Police officer gear and equipment includes many items. Guns, tear gas, pepper spray, rifles, knives, clubs and batons are some of them. Bullet proof vests, binoculars, motorcycle helmets, shield and boots are some of the other products. Radios, tracking devices, police cars and computers are also manufactured for them. The job of a police officer is very challenging and this is why they require so many items to work. The equipment is manufactured by many companies. Some of them are the same brand names that make electronics devices, guns and other household items. They have special engineers and scientists who conduct studies to see which items are helpful for police. Most of the companies who manufacture police gear are companies that make many products but specialize in selling police style items. They have fierce competition since many companies function in the same way. The make products for police and try to sell them. Billions of dollars are made every year in this industry and the companies know how much money is at stake. This is why they fight ferociously over the potential profits. Only a couple of companies are at the top of the market while the rest of them try to find out ways to increase their profits and market share. Every country has a police force. They need to be equipped well enough to combat crime. Illegal activities amass huge amounts of money and criminals are able to equip themselves well. They often has the most advanced and expensive equipment that is on the market. The local police also need to have this technology and these tools in order to keep order and control in their country. Criminals often form cartels and organized crime groups. They are as sophisticated as the police. They buy the police products on the market in order to stay in business. Many citizens do not feel safe. They buy the police products in order to protect themselves. They want to be able to be safe when cops will not be able to arrive on the scene for ten minutes or more. Bodyguards, club bouncers and other types of guards often need police gear. They need to be able to keep certain areas control and safe. This would be impossible without police gear. They spend large amounts of money to companies to get these items. This keeps the companies in business and making large amounts of money.